What Makes The Vancouver Real Estate Market Different in 2018? Vancouver is one of the rapidly growing cities in the world especially when it comes to real estate. Its location, population, and economic growth has seen a huge number of people including professionals and developers moving here. Currently, the metropolitan area of this city has a diversified population of over three million and this has had a huge effect on real estate. However, compared to other cities and markets, the Vancouver real estate is different and unique in its own way. So What Makes The Vancouver Real Estate Market Different? Land density, as well as distribution, is what determines how people live, farm, work and move around. Examining the use of Vancouver land shows that the availability of new land is very limited at the moment. Its geographical location, squeezed in between mountains on the east and north, an ocean on the west and the US border on the south means that the Greater Vancouver region is constrained when it comes to land supply. Vancouver is among the fastest growing cities in Canada. Its technology sector is thriving with new local and foreign companies and it also offers easy access to the growing markets that are found across the Pacific Ocean. This, therefore, means there is massive land use which has led to property development problems. Reports indicate that individuals who are not farmers are buying small farms and converting those pieces of land into country-estates. Also, more than 40 percent of the leased farmlands in Vancouver are currently owned by individuals who seem to hold companies for real estate or property developers. A huge percentage of land has already been put into use in Vancouver and the remaining limited amount is competitively being used for farming and other development projects. Property demand in Canada has outpaced the supply in this west-coast city and real estate developers are now building properties on every vacant space they own but this is still not enough. The number of local and foreigners moving into this city is very high. They are mostly seeking vancouver condos for sale as this is the only product that a mid range regular folk can afford. An average 2 bedroom condo in vancouver is selling about $800,000 in 2018. Vancouver, the biggest city in the British Columbia has been rated as the “most livable” city in the world and currently, it’s the most populated city in Canada. Some of the factors that have encouraged the internal migration is the job market prospects. Canada has an unemployment rate of 5.8 percent while Vancouver’s unemployment rate is around 5.5 percent. Although the Vancouver’s job market is very competitive, it is also very lucrative and a lot of Canadians simply can’t stay away from it. This city has the most diverse economy in Canada and most of the biggest industrial centers are found here. Its location has made it to be the biggest port in Canada and since most exports and imports are collected from this point, many manufacturing and mining companies have headquarters here. There is a massive wave of Chinese immigrants from the mainland China to Vancouver. This makes vancouver homes for sale extremely desirable. By searching like Strawhomes.com – Vancouver real estate agent website, you can see just how expensive homes in Vancouver have become. Ranked more than ten times as the most beautiful city to live in, Vancouver has attracted a lot of wealthy Chinese because of its inclusivity. Regardless of religion, race or economic background, this city accepts everyone and there are even multiple ethnic-neighborhoods such as Chinatown. Its stunning landscape which is overlooked by snow-capped mountain peaks and green-slopes in addition to the cool climate (winters are mild with little amounts of snowfall), has seen a large number of Chinese immigrants flocking this west-coast town and changing it to be an Asian Conurbation. This huge immigration has created the first major Chinese city that is outside the Asian continent. Research reports indicate that most Chinese expats who are looking for a clean and green city to live in usually prefer Vancouver. Recently, the Canadian Immigration Minister stated that the Liberal-Government is working to make it easier for Chinese workers, students and tourists to get temporary visa when they come to Canada and this is going to have a huge impact on the Vancouver real estate since most of them love this city. Vancouver is the Western-most city in British Columbia hence it serves as the “great pacific gateway” to and from Canada. Being the country’s largest and busiest port, this city has attracted local and foreign vancouver condo investors. Local Canadian condo investors prefer Vancouver because it’s a fast-growing city where many professionals and foreign expats are rapidly moving to. Foreign real estate investors such as the Chinese and some from other western countries are investing here because Canada is one among the few countries in G20 that doesn’t require real estate developers and agents to indicate the beneficial-owners of the clients who are selling or buying Vancouver condos. Also Because of the large number of property developments in Montreal and Toronto in the previous years, investors are now moving to Vancouver in order to cater for the strong high-tech, tourism, and industrial growth. When it comes to interest rates especially property interest rates, Vancouver has one of the lowest for a high ranking city of its standard. This city has one of the most affordable mortgage rates. Data obtained from the Real Estate Board of the Greater Vancouver area indicate that over 2000 homes were sold in February alone. The reasonably rated property interest means that the mortgage requirements in Vancouver is accessible to most people and the supply of real estate property currently can’t meet the demand. Even though the Bank of Canada recently increased interest rates, solid employment and vigorous consumer spending on property in Vancouver means that property is still affordable and the new interest rates will only affect a small number of consumers. Multiple factors have made the real estate market in Vancouver to be uniquely different. The geographical constraint has especially had a lot of effects on residential, Commercial and industrial Vancouver properties. To make matters even more difficult, the unexpected property demand and land absorption over the last couple of years has made real estate to be even more difficult. However, we hope new city planning and design including decentralization of some industries will help to solve the real estate challenge being experienced in Vancouver markets. However, compared to other cities and markets, the Vancouver real estate is different and unique in its own way. So What Makes The Vancouver Real Estate Market Different? 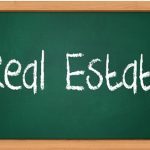 This entry was posted in Real Estate Investing and tagged canadian real estate, real estate investing in vancouver, vancouver condos, vancouver homes for sale, vancouver property, vancouver real estate, vancouver real estate market 2018. Bookmark the permalink.